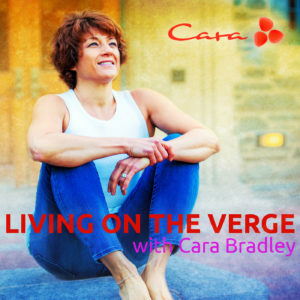 This week Cara dissects how amazing it feels to be in flow or as she calls it “in sync” with life and also what it feels like to be “out of sync.” Learn how to recognize flow every day and some simple ways to shift your state from feeling off course and unstable to in the flow and on the verge. Cara shares the Primer Practice – Continuous Breathing as a tool to shift from out of sync to in sync in minutes. For more on being In Sync and Out of Sync read Cara’s bestselling book On The Verge: Wake Up, Show Up, and Shine. Also check out the Primer Practice: Counting Breath on the free On The Verge mobile app iTunes and Google Play.